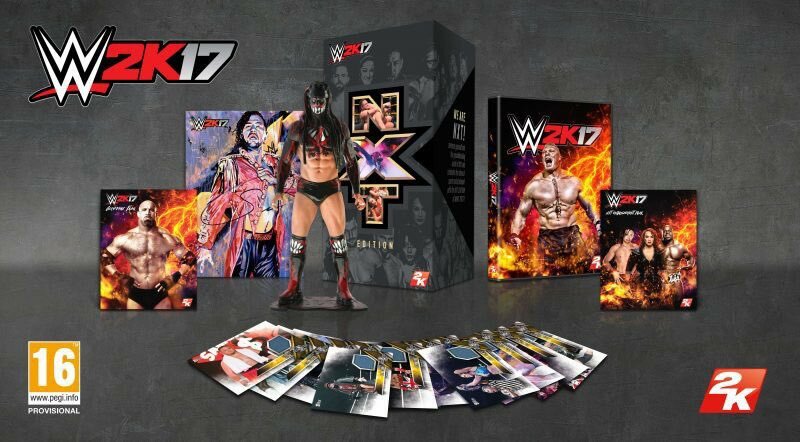 Those guys at 2K are spoiling us once again, as WWE 2K17 will be seeing a fancy collector's edition. This year it's all about those guys at NXT, with the likes of Finn Bálor and Shinsuke Nakamura being a huge part of this edition of the game. The NXT Collector's Edition will cost around £79.99 here in the UK, with it being a GAME store exclusive for us. This edition has the following goodies alongside the standard game if you're interested in it at all. Goldberg Pack: access to two playable versions of legendary WCW and WWE star Bill Goldberg, as well as playable WCW Monday Nitro and Halloween Havoc arenas.